The command line interface can be accessed over SSH or with the Jenkins CLI client, a .jar file distributed with Jenkins. Use of the CLI client distributed with Jenkins 2.53 and older and Jenkins LTS 2.46.1 and older is not recommended for security reasons. The client distributed with Jenkins 2.54 and newer and Jenkins LTS 2.46.2 and newer is considered secure in its default (-http) or -ssh modes, as is using the standard ssh command. Jenkins 2.165 and newer no longer supports the old (-remoting) mode in either the client or server. With the random SSH port (53801 in this example), and Authentication configured, any modern SSH client may securely execute CLI commands. Whichever user used for authentication with the Jenkins master must have the Overall/Read permission in order to access the CLI. The user may require additional permissions depending on the commands executed. Authentication relies on SSH-based public/private key authentication. 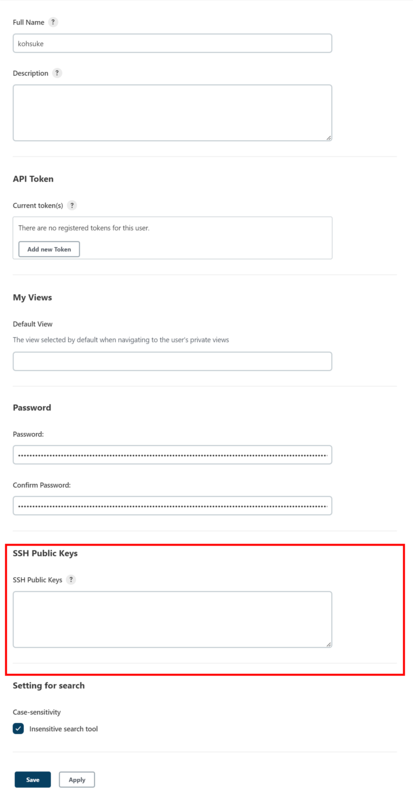 In order to add an SSH public key for the appropriate user, navigate to JENKINS_URL/user/USERNAME/configure and paste an SSH public key into the appropriate text area. The following list of commands is not comprehensive, but it is a useful starting point for Jenkins CLI usage. One of the most common and useful CLI commands is build, which allows the user to trigger any job or Pipeline for which they have permission. The most basic invocation will simply trigger the job or Pipeline and exit, but with the additional options a user may also pass parameters, poll SCM, or even follow the console output of the triggered build or Pipeline run. a build will only run if there has been an SCM change. -p  : Specify the build parameters in the key=value format. Similarly useful is the console command, which retrieves the console output for the specified build or Pipeline run. When no build number is provided, the console command will output the last completed build’s console output. The who-am-i command is helpful for listing the current user’s credentials and permissions available to the user. This can be useful when debugging the absence of CLI commands due to the lack of certain permissions. Reports your credential and permissions. While the SSH-based CLI is fast and covers most needs, there may be situations where the CLI client distributed with Jenkins is a better fit. For example, the default transport for the CLI client is HTTP which means no additional ports need to be opened in a firewall for its use. While a CLI .jar can be used against different versions of Jenkins, should any compatibility issues arise during use, please re-download the latest .jar file from the Jenkins master. The JENKINS_URL can be specified via the environment variable $JENKINS_URL. Summaries of other general options can be displayed by running the client with no arguments at all. There are two basic modes in which the client may be used, selectable by global option: -http and -ssh. This is the default mode, though you may pass the -http option explicitly for clarity. For security reasons the use of a file to load the authentication credentials is the recommended authentication way. An alternative authentication method is to configure environment variables in a similar way as the $JENKINS_URL is used. The username can be specified via the environment variable $JENKINS_USER_ID while the apitoken can be specified via the variable $JENKINS_API_TOKEN. Both variables have to be set all at once. In case these environment variables are configured you could still override the authentication method using different credentials with the -auth option, which takes preference over them. Generally no special system configuration need be done to enable HTTP-based CLI connections. If you are running Jenkins behind an HTTP(S) reverse proxy, ensure it does not buffer request or response bodies. The HTTP(S) connection mode of the CLI does not work correctly behind an Apache HTTP reverse proxy server using mod_proxy. Workarounds include using a different reverse proxy such as Nginx or HAProxy, or using the SSH connection mode where possible. See JENKINS-47279. In this mode, the client acts essentially like a native ssh command. By default the client will try to connect to an SSH port on the same host as is used in the JENKINS_URL. If Jenkins is behind an HTTP reverse proxy, this will not generally work, so run Jenkins with the system property -Dorg.jenkinsci.main.modules.sshd.SSHD.hostName=ACTUALHOST to define a hostname or IP address for the SSH endpoint. There are a number of common problems that may be experienced when running the CLI client. This means your SSH configuration does not recognize the public key presented by the server. It’s often the case when you run Jenkins in dev mode and multiple instances of the application are run under the same SSH port over time. In a development context, access your ~/.ssh/known_hosts (or in C:/Users/<your_name>/.ssh/known_hosts for Windows) and remove the line corresponding to your current SSH port (e.g. [localhost]:3485). In a production context, check with the Jenkins administrator if the public key of the server changed recently. If so, ask the administrator to do the the steps described above. This means your SSH keys were recognized and validated against the stored users but the username is not valid for the security realm your application is using at the moment. This could occur when you were using the Jenkins database initially, configured your users, and then switched to another security realm (like LDAP, etc.) where the defined users do not exist yet. To solve the problem, ensure your users exist in your configured security realm. Go into Manage Jenkins > System Log > Add new log recorder. Enter any name you want and click on Ok.
Set the level to ALL. When you try to authenticate, you can then refresh the page and see what happen internally.